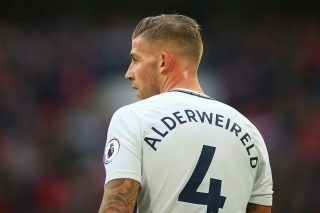 Barcelona have reportedly joined Manchester United in the race to sign Tottenham Hotspur defender Toby Alderweireld. 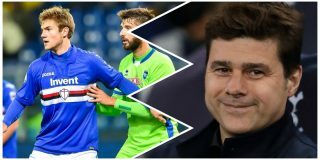 The Belgium international’s days in north London seem numbered with his contract expiring this summer and, while Spurs have the option to extend his deal by a further year, doing so would activate a clause which would allow him to be bought for just £25 million in the final two weeks of the summer transfer window. 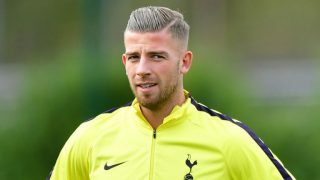 That’s a massive cut-price on what Daniel Levy was demanding for Alderweireld’s signature this past summer when United manager Jose Mourinho wanted to bring him to Old Trafford to reshape his defence. However, Barcelona are also struggling at the back this season, and The Mirror claims that the current La Liga champions are considering a move for the former Atletico Madrid centre-back. 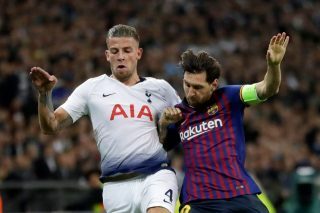 Former United defender, Gerard Pique, has seen his form go downhill over the last year which has left Barca manager Ernesto Valverde with little choice but to start looking elsewhere for defensive stability.